35'c + ... it has been a scorcher here the last few weeks! Classic topknot, glowing skin, and blondie hair... I have now been living here for 5 months can you believe?! 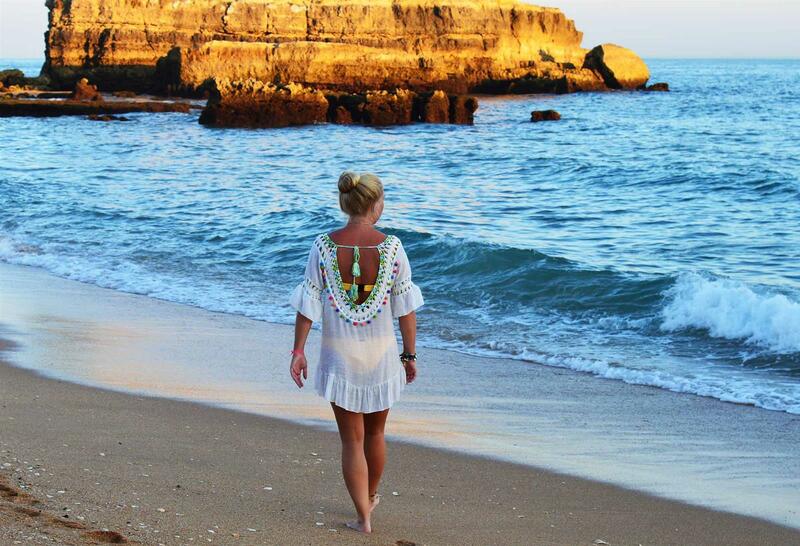 Feeling like a true Portuguese, I purchased this beautiful boutique beach cover-up. 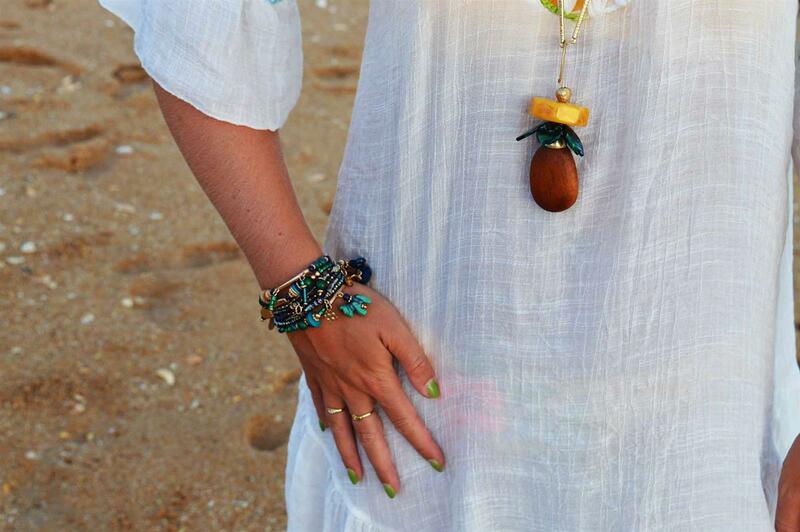 Tassels, colourful pom poms and frilly details....easy peasy to throw on for the beach. 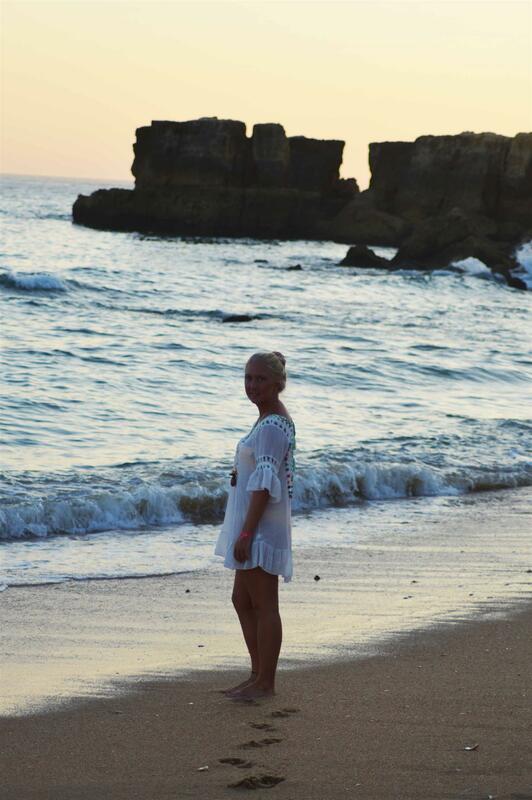 With so many boutiques around the Algarve I love to venture out of normal buying trends. As much as I love my brands I always like to be different and support smaller shops and cultures.